For all the lobbying Saudi Arabia may have exerted in turning Yemen into an unspoken graveyard so it could proclaim itself a liberator over Southern Arabia, Yemen’s suffering has become too grand, and too grave to dismiss. Beyond the many and despicable sectarian adjectives the media may have wielded since 2015 to frame Yemen’s war within a binary that has the region locked in fictitious crusadic dynamics: Shiite Iran versus self-righteous Saudi Arabia, truths have had a way of eroding at such a construct. In the throes of a conflict that has ravaged more than just its infrastructure, civilians, military and otherwise, Yemen is quite simply being bled dry of its people so one kingdom could manifest those political realities it once dreamed up. Yemen’s barren land, its destroyed villages and silenced streets all testify to the horrors that befell a nation whose ambition was merely to rise independent within the confines of its sovereignty. Seyed Hassan Ali al-Emad, the founder and secretary general of Yemen’s growing new political faction, the Future of Justice, noted in an interview with me how dishonesty has so far prevented countries backing any real negotiations on Yemen. “Until all war crimes and abuses against civilians are acknowledged peace will remain a distant mirage. The law and our commitment to hold to justice principles is what can stop the bloodshed,” he stressed. “The current food security crisis is a man-made disaster not only resulting from decades of poverty and underinvestment, but also as a war tactic through economic strangulation,” he added. 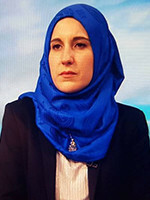 If the international community is, how should I put it: late to the party when it comes to speaking up about Yemen’s war, Saudi Arabia’s organized blackout has now waned enough for information to swim through that unspoken ocean of misinformation we all have been drowning in. “Attacks carried out by air caused over half of all child casualties, with at least 349 killed and 333 injured,” said the report. If I may quickly stray from the subject at hand, I would like to point out that no information coming out of the UN is ever unwittingly leaked to the press. Rather, that ‘confidential’ report was put in the hand of the media so its content could be shared without its consequences bearing upon its source. Although such detail may seem inconsequential, I read in it a clear sign that Saudi Arabia’s lobbying machine is fast running out of room to operate. Blood has come too fast and too thick for the most radical of neocons to back Riyadh’s adventure and still paint it as lawful. No matter how loudly Riyadh will argue that it is operating within international law, few now will listen. An analysis by the researchers at London’s Queen Mary University found that eight out of ten cholera deaths in Yemen occur in areas controlled by Sana’a's popular government, those infamous rebels the mainstream yammer on about. 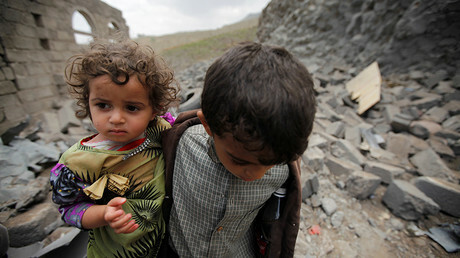 “Both sides have been accused of disregarding the well-being of civilians and breaching international humanitarian law. However, the government is supported by a Saudi-led coalition, and this alliance commands far greater resources than the rebels. 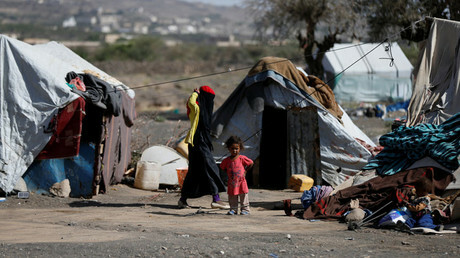 As a result, Houthi-controlled areas have been disproportionately affected by the conflict, which has created conditions conducive to the spread of cholera,”wrote researchers Jonathan Kennedy, Andrew Harmer, and David McCoy. Saudi Arabia’s abuses in Yemen are not a figment of anyone’s imagination; they are a fact - a reality that if not addressed will allow for the genocide of a people. 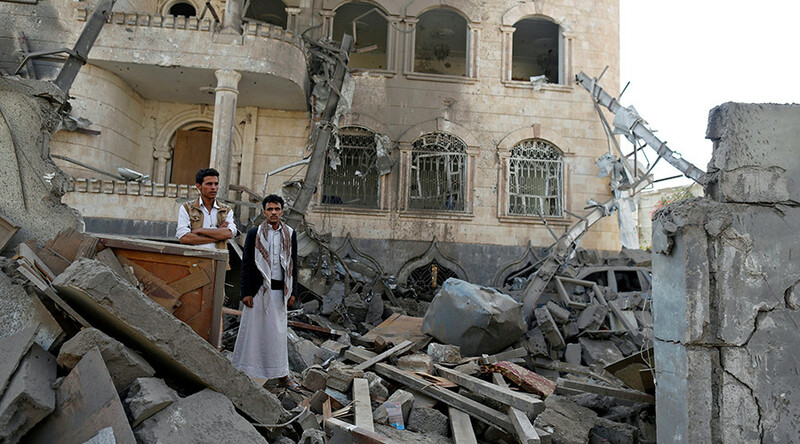 Yemen’s war proper has long gone beyond the political or the geopolitical. Communities have been earmarked for the slaughter while US officials argue jobs creation. Yes, Mr. President Donald Trump the award goes to you as far as cold pragmatism. “That was a tremendous day. Tremendous investments in the United States. Hundreds of billions of dollars of investments in the United States and jobs, jobs, jobs,” I recall a joyful President Trump declared as Riyadh signed its name to a lucrative weapons deal. If one can understand the pull money can hold over state officials, politics, after all, is not child's play, empowering fanatical despots is still counter intuitive. However stomach-churning the idea of an alliance with Sana’a's popular government may be to the international community it rings better than the backing of a genocide made in Wahhabist Saudi Arabia.